Mathieu Duchâtel and Alexandre Sheldon-Duplaix, “The European Union and the Modernisation of the People’s Liberation Army Navy: The Limits of Europe’s Strategic Irrelevance,” China Perspective 4 (2011): 31-41. This superb article on a vital but under-researched topic is well worth reading. One of its recommendations should receive particular attention in Washington: it’s time for the U.S. to ratify the UN Convention on the Law of the Sea (UNCLOS)! On the bilateral EU-China front, the first challenge for Europe is to reinforce its independent capacity to engage in strategic assessment; otherwise it will not be able to break away from a normative approach that fails to address China’s military modernisation in a comprehensive manner. 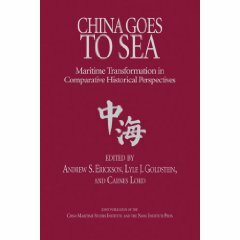 There is a need in Europe for strategic reassurance on long-term Chinese intentions, as there is a need for assurances that China will exercise self-restraint in its maritime disputes with weaker neighbours. European policies should focus on simple goals: making European concerns clear and unambiguous to China; and integrating maritime security into the Europe-China strategic dialogue and into European dialogues with the US and East Asian states. Only through such a process will Europe be able to explore cooperative engagements with China on counter-piracy, non-combatant evacuation operations, and rescue and relief operations on a sound basis. Europe has a strong interest in bringing China into full compliance with UNCLOS. 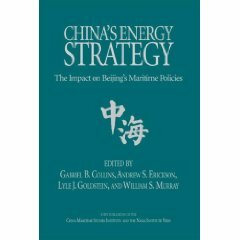 Chinese restrictions on freedom of navigation for military ships in the EEZ, and the notion of “historical maritime rights,” run counter to French and British approaches to the Law of the Sea. In a crisis, those gaps would increase the difficulty for Europe and China of finding common ground for crisis resolution. Additionally, Europe should pay attention to the challenges posed by China’s adoption of a strategy of “legal warfare,” which seeks to form an international coalition to renegotiate the UNCLOS, undermining European interests. Furthermore, the trans-Atlantic partnership determines to a large extent the EU’s approach to maritime security in East Asia. There is no reason to think that new conditions would allow termination of the arms embargo towards China. The trans-Atlantic partnership could also drag Europe into a maritime conflict in East Asia. If the US intervened militarily in a regional crisis, European allies would almost certainly be asked to contribute politically or militarily. As such, Europe should press the United States to ratify UNCLOS in order to reinforce Europe and US common positions on this issue. 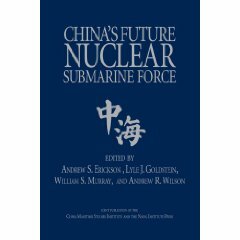 For the article cited, see Andrew S. Erickson and Lyle J. Goldstein, “China’s Future Nuclear Submarine Force: Insights from Chinese Writings,” Naval War College Review 60.1 (Winter 2007): 54-79. 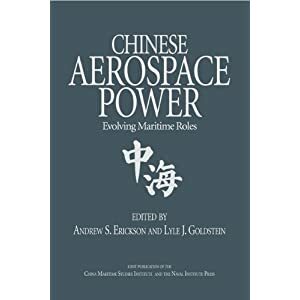 For related analysis, see Joan Johnson-Freese and Andrew S. Erickson, “A Geotechnological Balancer: The Emerging China-EU Space Partnership,” Space Policy: An International Journal 22.1 (Spring 2006): 12-22.